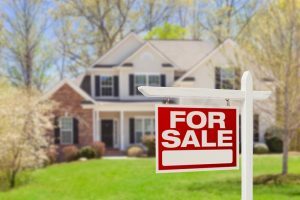 Have you asked yourself, “how do I prepare my home for sale?” Before that For Sale sign is firmly planted in your front yard, make sure your house is show-ready so that you can land a quality offer. Thorough cleaning, significant decluttering and thoughtful decorating are essential when you’re preparing to list your home. Help create a welcoming abode that interested home buyers will adore with these tips. When you’re selling a home, you want potential homebuyers to be able to envision it as their space, not view it as your home. So, decluttering and depersonalizing is a must before you host an open house. Pack away those family pictures, prized trophies and college degrees adorning your walls. Redecorate your space by focusing on a minimalist decor style, one that showcases the natural beauty and stunning features of your home, not the decor or furniture itself. Hide appliances from kitchen countertops, declutter crowded bookcases full of knick-knacks and make sure closets can be carefully examined without being overcrowded. Focus on a “less is more” mentality when making your house show ready. Give your interested buyers a blank slate to examine. You know that your countertops need to be sparkling, your floors well swept and vacuumed and your bathtubs glistening when you show your house. However, you should also focus on deep cleaning issues that may have been neglected. Hire a professional carpet cleaner to get those carpets looking their best. Scrub that inevitable buildup off of your tile and grout. Deep cleaning can go a long way in getting your house market ready. After securing an offer, the last issue you want to face is a laundry list of fixes from the buyers. If you’re unable to agree on these fixes, you can lose the sale. Be proactive and hire a home inspector before you list the house. The inspector can identify obvious issues that will require repair or maintenance before your house goes on the market. By fixing these issues ahead of time, you can avoid any last-minute hiccups that can put your sale at risk. Pricing your home might be the most challenging part of the selling process. You want to price your home competitively so that it will attract potential buyers, but you also want to maximize your potential profit on the sale of the home. In addition to working with your real estate agent to determine the right market value, do your own research to get to know your market. Look at recent sales of comparable homes in your area. Reading up on these comps tells you the going rate for a home that’s similar to yours. If you stray too far away from these comp prices, you risk overpricing your home and turning away interested buyers. Strike the right balance by pricing with your market research in mind. Selling your home can be an overwhelming process, and outsourcing some of this work can save you both stress and time. When it comes to preparing to sell your home, we’re here to help. At Modernistic, we provide professional cleaning services including carpet cleaning, tile and grout cleaning, hardwood floor cleaning and additional expert home cleaning services. Let us help you restore your home to its original shine, making it show-ready for potential buyers. Schedule a service online or give us a call today to talk to a professional technician.